As some of you may have heard, this week in São Paulo, Brazil, the largest indie gaming event of all of South America is taking place: Brazil Independent Games Festival. This is exciting news for any indie game developer in the region, but we are particularly excited because out of more than almost 700 entries, Okhlos was selected as one of the finalist, and is running for the Best Gameplay category! Most of the games haven’t been released yet (just like Okhlos) so we haven’t had the chance to play them yet. We are looking forward to give them a go at the festival. However, based on the trailers alone, you can already say it will be a very tight match! Once again, thanks to the people of Big Festival for choosing Okhlos as a finalist! Wish us luck! Hey there! It’s been a while since we did one of these posts! Last time, we did a tribute for the always amazing Discworld series, remembering the passing of Sir Terry Pratchett. Now, it’s time for a Dragon Ball tribute. Most of us grew up with the show or manga alongside. We enjoyed a lot the wonderful adventure vibe of the first series, and the everlasting, sometimes boring, fights when they run out of scripts. With this humble tribute, I tried to capture the essence of the first part of the manga. That sense of awe and wonder, filled with mysteries and charismatic characters. 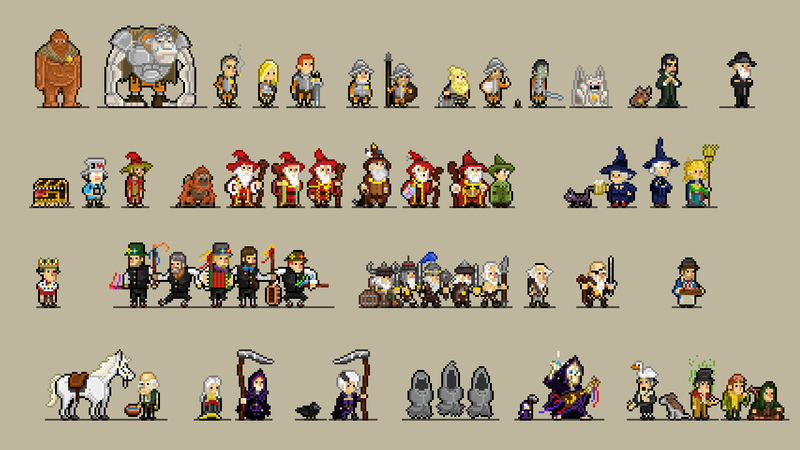 Here are two graphics, one in chronological order, and the other grouped by characters variations. Remember to click to enlarge them! So, this is it for this week! We have some great news that we will share with you soon, so stay tuned! Hey gang! How’re you fine folks doing today? 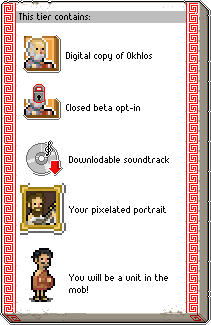 Welcome back to the fantastic, bleeding-edge, always on-time Okhlos dev-blog! This week we want to talk about two little things: the Mob Mentality Meter and the Morale stat. 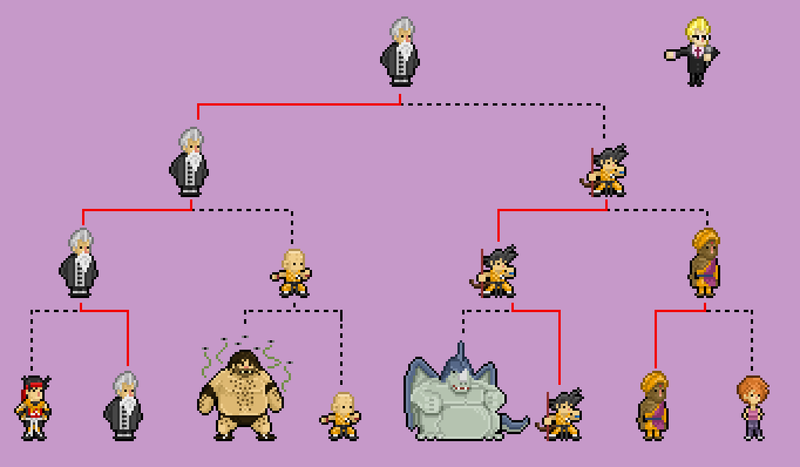 They’re two elements of the game that you might’ve noticed by this point but that we’ve never really talked about or explained. We’re going to fix that today and tell you a little bit about how we’ve pared them down and combined them to make the game even better! It was a cool pool party for the Cool Mobs at my school! Depending on how many units you pick up, how many enemies you kill, and how much property you destroy, the meter will go up and down throughout play. The game starts you out at ‘Cool Mob’; from there the more chaotic and unruly and big the mob gets, the more the bar fills up, passing through Reckless Mob, Frenetic Mob!, and finally MEGA CHAOTIC MOB! You get to demolish and tear down buildings and just raze everything to the ground! We may have sunk a few hundred hours into Rampage as children. Can you tell? Nothing is really quite as satisfying as that, don’t you think? However – not everything is fun and games and destroying houses! You’ve also got to be careful your mob doesn’t get bored! A mob that hasn’t smashed anything in a while or found new recruits is likely to become a Depressing Mob, and as we all know – depressing mobs are no fun! No one wants to be part of a depressing mob. Units will slowly start leaving your mob if you’ve become Depressing, so you better find something to smash or a new recruit to liven up the place – and you better to do it quick! Sure, misery loves company, but misery also likes going back home to curl up on the couch and binge on Netflix. Now, unless you’ve been paying reaaalllllly close attention, you probably don’t know about this one. It’s one of the more obscure and hidden-away stats in the game, and compared to Attack, Defense, and HP, it’s harder to puzzle out what it does for your units. 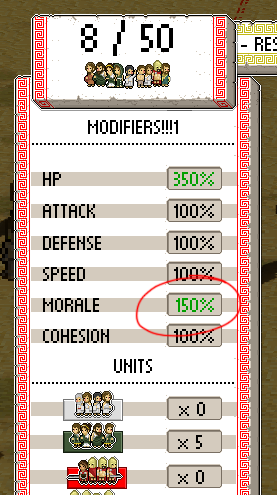 Morale is the stat that determines how likely your unit is to abandon the mob when things get tough. When a big hulking enemy puts its foot down and tries to intimidate you, Morale is what determines whether a unit flees in terror or sticks it out to fight for you. When you’ve run off to the other side of the map and a unit has lagged behind, Morale determines whether it runs after you to catch up or whether it shrugs its shoulders and finds something easier to do. So, nifty little systems you might say, right? However, something was bugging us the other day. We were watching Sparrow’s excellent Let’s Play! of Okhlos’ Sparta level when we noticed something that made us rethink how these two mechanics work and interact together. It’s purposefully difficult to raise your Mob Mentality in Sparta – definitely harder than it is in Delphi. That’s part of the challenge of the stage, and Sparrow was struggling with it for a bit. His mob was getting depressed and he struggled to keep the meter up at ‘Cool Mob’. We immediately slapped our foreheads. Seeing it play out in front of us, that association makes complete sense! Morale is the word one would use to talk about one’s confidence and zeal in the face of hardship and opposition. If there were a stat that raised the Mob Mentality Meter it should totally be called Morale. But there isn’t. And it’s not. So Sparrow paid the hefty price for Parmenides thinking his Mob Mentality would boost up and he would be rid of his pesky problem, and then, well… nothing changed. The word ‘morale’ is confusing. The stat isn’t intuitive to understand. So, burdened by this great dilemma, we huddled together, talked it over, and put our brains to work on a solution. Well, it was pretty easy actually. We figured Sparrow was actually kinda right. The Morale stat should totally boost the Mob Mentality Meter. This not only gets rid of the meddlesome confusion and makes the game more intuitive, but it also adds functionality to a stat that wasn’t really seeing much use. That’s great! With a very simple change we actually improved the game on several fronts and reinforced our game mechanics by consolidating them! Another week where we’ve been tirelessly working on Okhlos. We are preparing a few juicy updates about all the new things we are doing, but in the meantime, to avoid radio silence, so we thought that it would be cool to create another diorama to spread the word. You sure dont look invincible to me! Hey gang! How’s your week been? Ours has been really busy! We’ve been concentrating hard on how best to display information to the player within the game. As you might or might not have noticed, we don’t really like to pat ourselves on the back here at Coffee Powered Machine, or give ourselves too many compliments. We really try to avoid it. …But having said that, at the risk of sounding a bit pretentious, we have to admit something: we are trying to make something pretty new and unique here. Nobody has made a game quite like Okhlos before. Even though you may gather up a lot of people like in Katamari Damacy, or you may control a lot of units like in Pikmin, the similarities end there. Our game is fundamentally different. As such, we don’t have a lot of examples to follow or existing parameters to use as guides. This has made Okhlos hard to develop. Very hard, actually. Every new step we take is a step we have to test, gather feedback on, and see how well people understand it. It’s very much the same process when it comes to displaying info in the game. It’s easy enough to show a ‘nerf’ status ailment on a character or even a few characters – but it’s very hard to display it over 50+ units without it looking horrible. Sometimes we try to display information as a Real Time Strategy (RTS) game would and that’s hardly ideal. 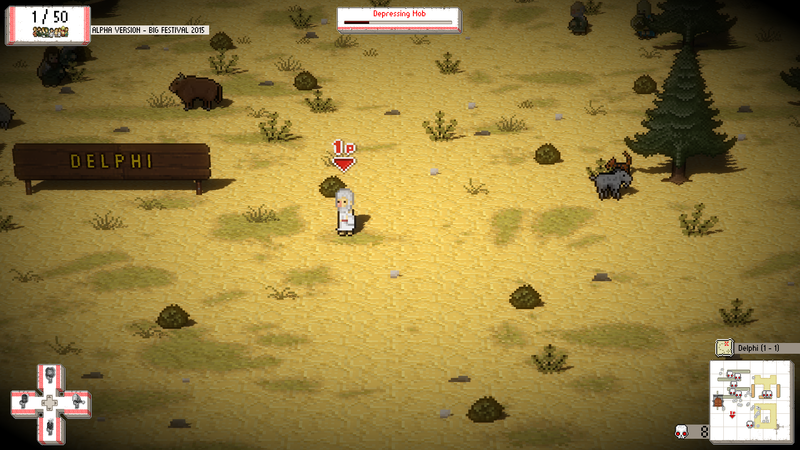 Okhlos isn’t an RTS game, it’s pacing is fast and dynamic where an RTS’ is methodic and plodding. It’s almost the complete opposite. So we’ve learned to handle each piece of info on a case by case basis, always looking out and checking for a few things. It has to be a visible effect – you gotta be able to see it. Can you see it? You need to know when the info or the effect is still relevant and active and when it’s not. It can’t block or cover too much of the screen – you need to see where you’re going. It can’t be a dominant color, that’s too strong. The Aegis Shield is an item that gives your mob invulnerability for a certain period of time. (Don’t ask me how long. I honestly don’t know. I’m the artist, the creative visionary over here. Ask Sebastian. He’s the numbers guy.) While the item’s taking effect we somehow have to display invincibility and let the player know intuitively that the item is working. We have to use a color, a graphic effect, or something of the sort, and we also have to show when the item is beginning to wear off. As you can see, the effect is very obnoxious and covers up most of your mob, making the units hard to see. It’s definitely less than ideal. The symbols we used weren’t great either. They’re a shield and two plus signs, which aren’t very legible or easy to interpret. They got in the way and just bog things down. So, in the end, we decided to take look at the classics and actually ended up using the effect Sebastian had originally come up with as a place holder. It just goes to show. You never know just what ideas will stick in development. What do you guys think of the effect? Too retro? We’re still pondering it over and are very open to suggestions. Let us know what you think! Catch you guys around next time! Like us on Twitter! Follow us on Facebook! We might not know how to use all this new-fangled social media, but we need your good old-fashioned love! This post was written, poorly and misshapen, by @roketronz, and soundly beaten into shape by @pfque_ . 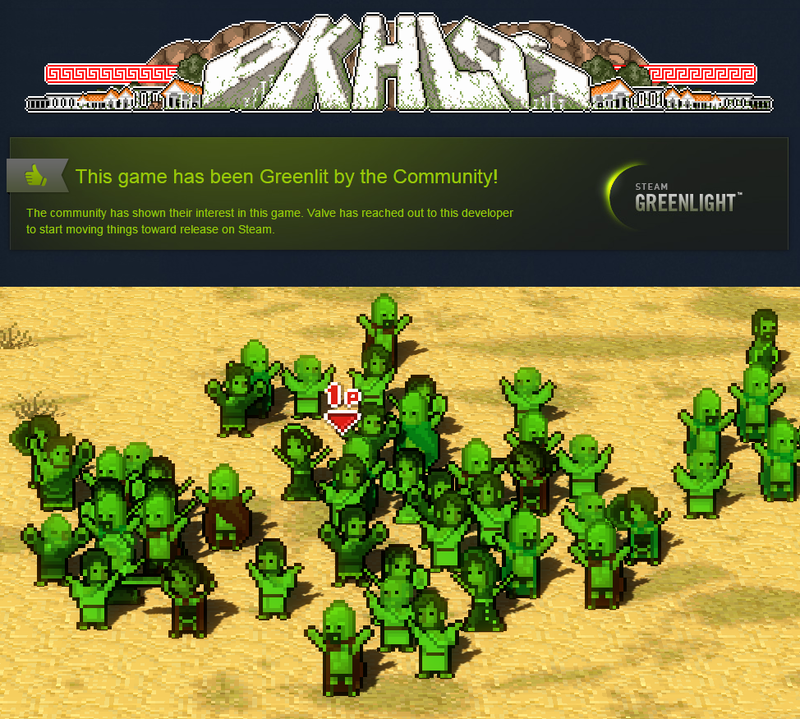 In case anyone missed the previous update, here is the gist of it: OKHLOS GOT GREENLIT !!! And only six days after we launched the campaign!! It’s been a extremely frantic and tiring week but we are ecstatic. First and foremost, the overall response was great. Many long-standing Okhlos supporters turned up once again to vote and share the news. The response from the local community was great. More than once they would beat us, sharing news in different sites or forums! And at the same time, we found lots of people who had never heard about the game until now, and fell in love with it. It was wonderful to read all the comments and messages. So we thank you all for that! Steam Greenlight is not the same of what it used to be when it first started. Many more games are getting greenlit every week, for one, which gives you much better chances of getting among the top games. But, at the same time getting noticed these days has become increasingly harder. Putting a game on Greenlight is not something that Kotaku or Gamespot are going to write about anymore. But this is not to say that there are no news outlets or sites that write about Greenlight anymore. We found out that many sites are stilling willing to write about a game on Greenlight, if they find the game interesting enough. The first articles that begun to appear when we launched the campaign were at Pixel Dynamo, this news bit at Gamers FTW, or here at Load the Game. 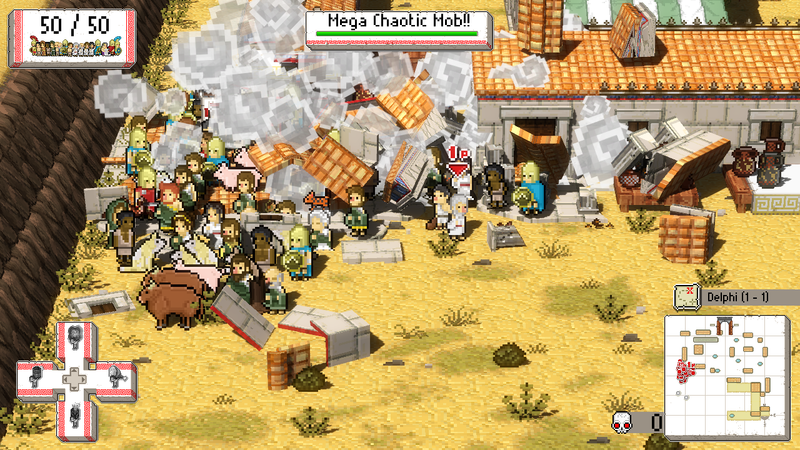 Not long after that some larger sites wrote very nice pieces about Okhlos. 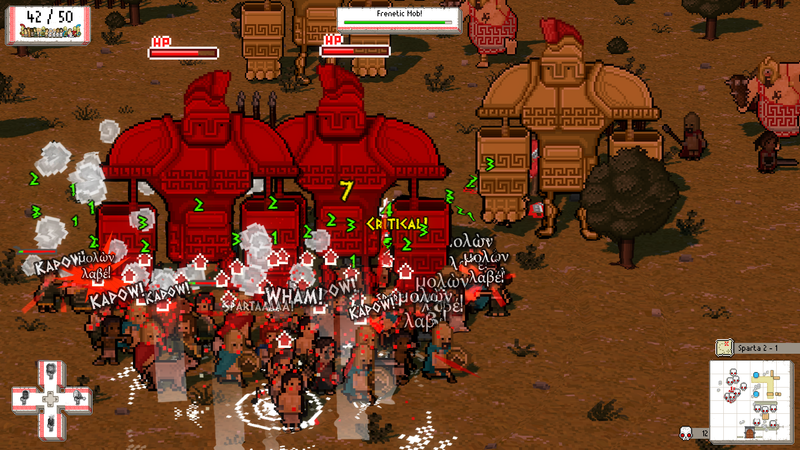 Like at Okhlos: My Big Fat Angry Mob at IndieMag. 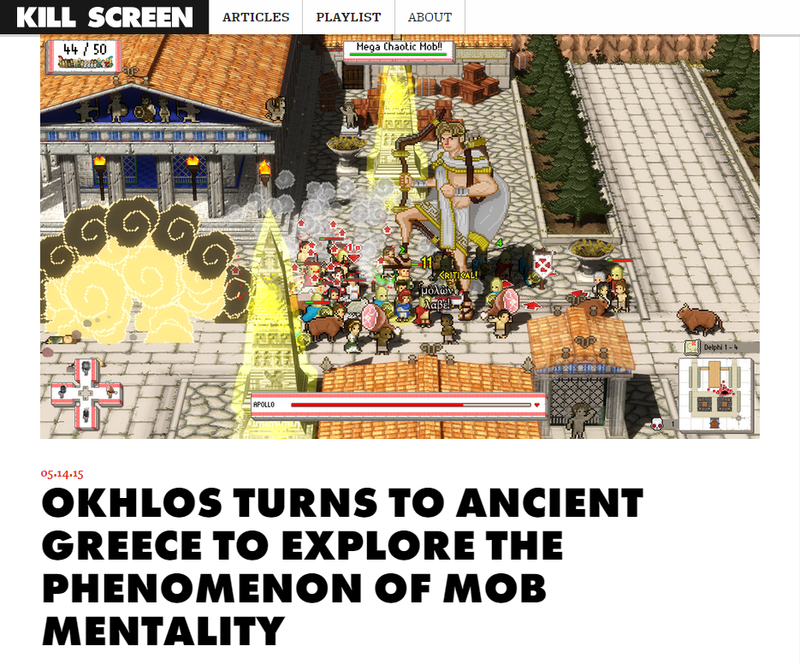 And then Killscreen gave us Okhlos Turns to Ancient Greece to Explore the Phenomenon of Mob Mentality. Neat! Like Killscreen, many sites covered Okhlos! 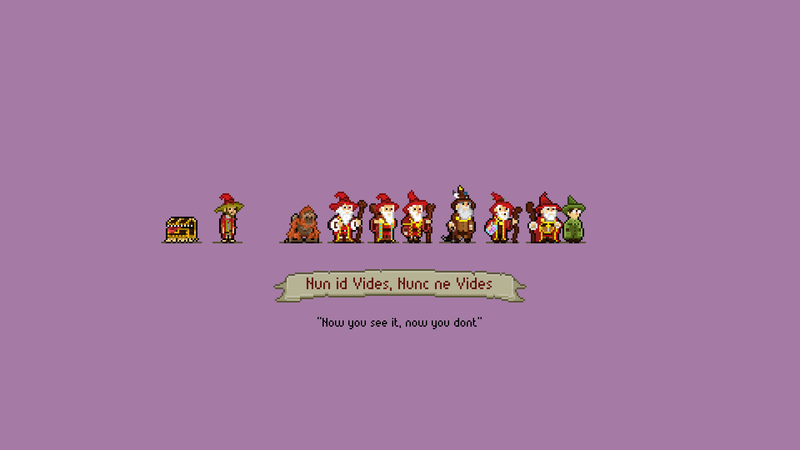 Then we were delighted to see that Megawacky, who runs the webcomic Bits & Bytes, devoted an entire strip to Okhlos! 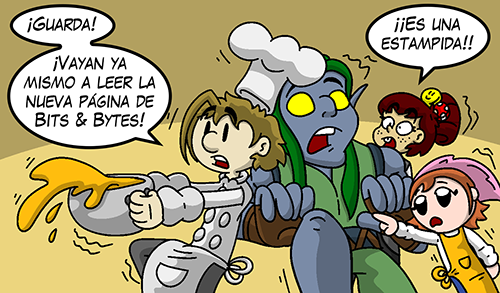 You can read the Okhlos, and the whole webcomic, which is full of game references and jokes, at the Bits & Bytes site! 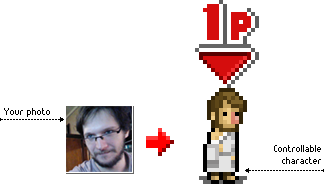 Another guy who showed once more how amazing he was, is Pixel Prospector. He runs one of the best, most comprehensive sites on the planet with resources for indie games. That alone is enough to put him in our good list for good. 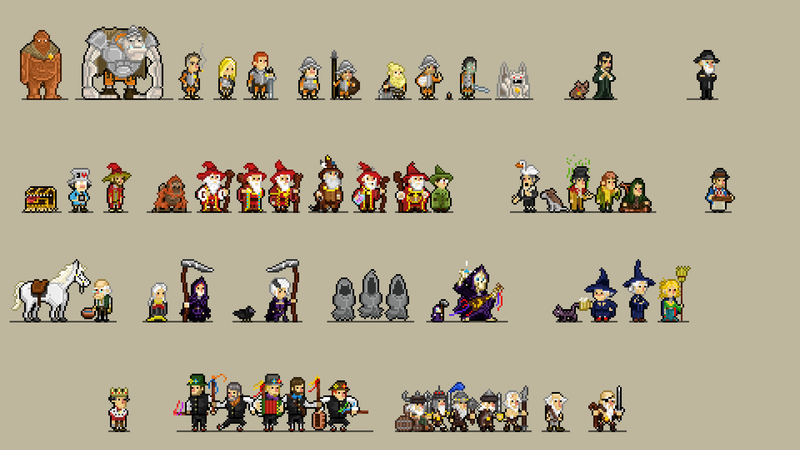 But asides from this, he runs a pixel art devoted blog called Pixel Artus, and this week he took over Tumblr with a series of Okhlos’ gifs (more than five hundred likes and shares!). Something very interesting we discovered these days was that we got a very large number visits, votes, comments and likes from different places spread from all over the world. We expected most of them to come from the US (where most gaming sites are from, and Steam users are from) or Argentina (Hi, mom! Thanks voting us!) 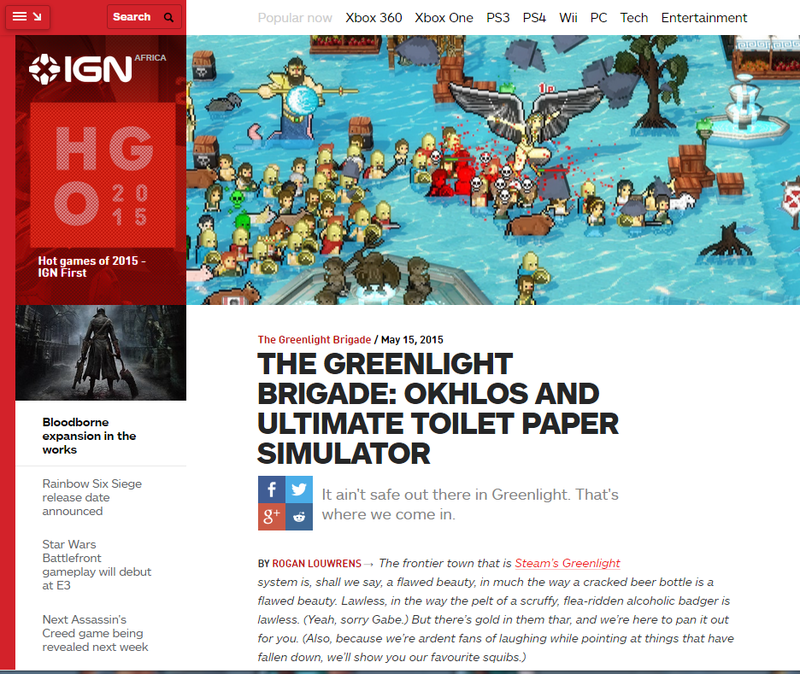 but we were surprised to find, for instance, that IGN Africa wrote about the game, where the Greenlight Brigade highlighted Okhlos among the best of the weeks roundup. Or that, at Game Guide France, they published a very comprehensive piece about Okhlos. Or that a games’ blog from Japan, Shibayama Blog, which is quite big, also pulled up the news about the game, followed by lots of tweets and comments in Japanese. Neither where we expecting so much visits from Russia. But a curator of pixel art works posted about Okhlos at VK (the second largest site in all of Russia and one the largest in all Europe) so visits started pouring from there. Are you really posting screen captures of gaming sites? The best part of this is that it is not over. Just yesterday, the amazing Richard at Games Freezer, who had already played Okhlos at Rezzed and wonderful words about it, and now he did it again. And a few minutes ago, just before we hit the publish button, we heard the fine folks at Checkpoint published this beauty of an article (in Spanish). So, we can’t stressed how happy and thankful we are. It’s wonderful time to be part of the angry mob of ancient Greeks. Now time to get back to work! Somebody has to finish this game! Here is an actual screen of the game! A few Automatas locked in fierce combat! Click to enlarge! In only 6 days OKHLOS has been Greenlit! That’s huge!!! Thanks all of you for your incredible support! This couldn’t have been possible without you!! Good news everyone! We’ve just launched Okhlos’ pre-order and Steam Greenlight campaigns! The pre-order campaign is full of amazing tiered rewards and super cool 3D dioramas to explore! You can view it right now at http://okhlos.com and vote for Greelight here. Got Steam installed? Click here to open it directly on Steam! What’s in the pre-order campaign? Besides buying the game in advance, it’s an opportunity for anyone to become involved with the game. 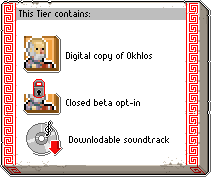 Through the campaign’s lower tiers players can gain access to Okhlos’ closed beta, which we’ll be announcing soon, and to its Original Soundtrack, created by A Shell in the Pit. Through the higher tiers you will have the chance to become one of the game’s characters, either as an angry mobster or one of its leaders! Turn up your speakers! Blow out that boom box! Wake up the neighbors with your 5.1 surround sound system! 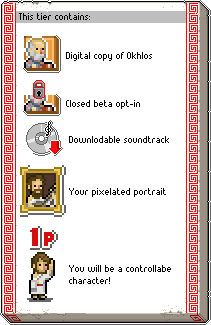 If you pick this option, aside from a digital, DRM-Free copy of the finished game, a Steam key, and access to the closed beta, you will also get a digital copy of Okhlos’ Original Soundtrack by A Shell in the Pit. Take the sound of the mob along with you wherever you go! KAPOW! Have you always wanted a chance to stomp your foot in Zeus’ big, ungrateful face? Well, here’s your chance! Send us a photo and we will turn you into a game unit! You’ll have the chance to become a citizen, fighter, defender, slave, or even a bureaucrat! You’ll rampage your way across ancient Greece as part of the mob, delivering chaos and mayhem upon your enemies*, striving to defeat and overthrow the tyrannical gods! You’ll be included in the game’s Encyclopedia with your name and everything! Careful though, only 100 people will be able to snag up this opportunity of a lifetime, so don’t hesitate or it’ll pass you by! *Some chaos and mayhem, as well as some clobbering, stomping, and frying , may also be delivered onto you. * Power limited by the mob, technical limitations and the rules and regulations of the state of Massachusetts. The chances of your character getting clobbered, stomped or fried will also be considerably high. Do you have questions about the pre-order tiers? Check our FAQ page and/or contact us! Hey you! Grab that Item! You might be asking yourselves where we’ve been these past few weeks, and I really wish I could tell you, but the truth is: we’ve been working on some really exciting super secret stuff for Okhlos! 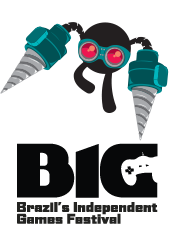 We can’t tell you about it just yet, but rest assured that what’s coming will be really, really cool! Unfortunately though, all this exciting super secret business has been taking up a lot of our office hours and leaving us exhausted, so we’ve been far too tired to keep up with updates here on the dev blog. That’s why we’ve been so quiet lately. We’re starting to wrap up Okhlos and as we’re getting closer and closer to the finish line we’re realizing that, sadly, there’s so much to do that we just won’t have as much time for updates as we did before. That said, there are still plenty of updates to come – and some very interesting ones at that! – so worry not, ye faithful reader. 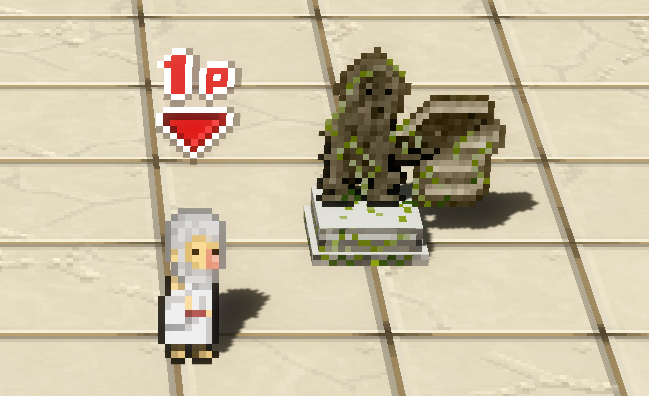 As you know, in Okhlos, items are temporary power ups that you use in the heat of the moment to help you through tough spots. Say you’re surrounded by cyclops – throw a bomb! Blow ‘em up to smithereens! You’re about to get hit really hard by a harpy – use an Aegis to make yourself invincible for a little while! Don’t put with that bird-brain! 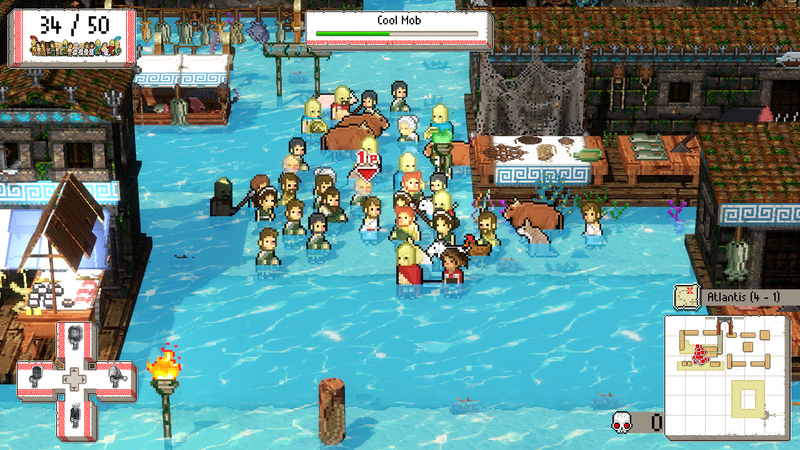 In Okhlos, most of the humor – much like the rest of the game – hinges on the premise that you’re trying to control an unruly mob and that as such, things will get messy. We use the mob and its different units to poke fun at the nonsensical structures of society and social class and to make fun of how even in the midst of chaos and anarchy everybody sticks to their assigned roles and positions, no matter how hypocritical or terrible they might be. One of our units, in fact, is the slave, or servant. They are the only unit in the game that can carry items. (Because I’m sure the philosophers are too busy thinking to do any heavy lifting, right? Bastards.) They can each carry up to one item and if you run out of empty-handed ones then you won’t be able to pick up any more items until you’ve used one up. By looking at your mob you should thus be able to see how many items you have, what items they are, and how many spots you have left for picking up new ones. The slaves aren’t particularly powerful units on their own, but they are essential to playing well and getting through the levels. 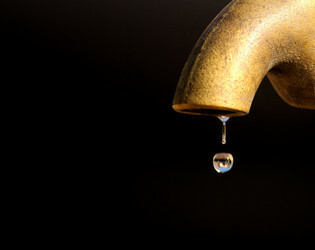 You’ll definitely want at least a few of them around for those really tough situations. This, however, was a bit of a pain. There is no way to manipulate units individually in the game, so getting a slave to walk over the item could take several attempts, wasting time and effort and frustrating the player with a menial task. Sometimes the player would try a couple of times unsuccessfully and just assume they didn’t have an available slave, when actually, they did! It just wasn’t intuitive; a lot of players took a while to clue in to the mechanic, and would naturally try to pick up items using the leader unit instead. This player behavior continued despite tutorials and the player’s level of experience. After some thinking and a few helpful suggestions from our friendly translator and editor, Pablo, we decided: What the hell? Why fight it? So we’ve changed things around! Now the leader unit is now able to pick up items and pass them on to available slaves all on their own! Now if you see an item and you have an available free slave, you can grab it easily and without any hassle! And if you don’t have any available slaves, now the game will tell you so! What do you guys think of this change? It’s definitely less ‘realistic’ than picking up items with slave units directly, but it’s a lot more intuitive! Well, that’s us for this week! Please write us! Follow us on Twitter! Like us on Facebook! Send us your love! We need it! We crave it! The first draft of this post was banged out quickly by @Roketronz and then slowly and lovingly groomed to beautiful adulthood by @pfque_. That poor unlucky sod. UPDATE: Now with desktop resolutions! 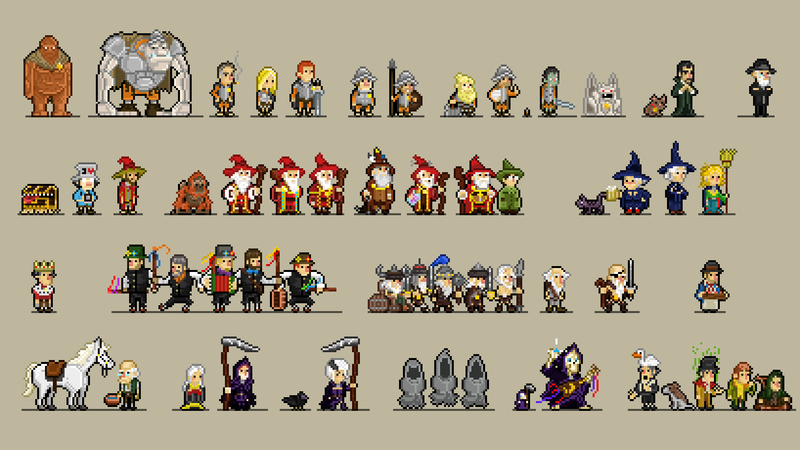 So, when I found out about his passing it really struck me, and drove me to do a Pixel Art tribute, in Okhlos’ Style, to one of the most interesting fantasy universes ever: Discworld. From that moment on, I’ve drawing characters and posting them on twitter, so you might’ve seen some of them already. 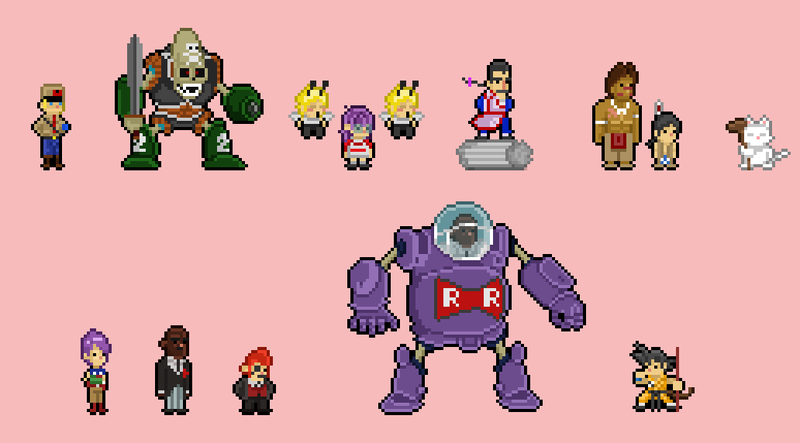 But here is an exclusive: The final version with all the characters! After that, having finished the pixel art, I decided to give it a twist and printed the hell out of them! 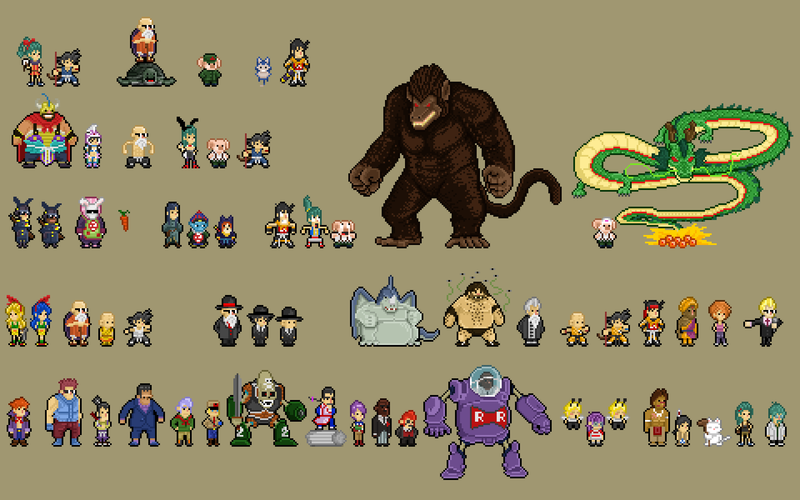 So now we have little Discworld pixel art companions! I hope you enjoyed this atypical post. Next week we will continue posting about Okhlos, we promise! UPDATE: Here are the Desktop resolutions! Enjoy!